He has over 15 years of experience and worked on a variety of portfolios. DDB Mudra North has appointed Subhashish Dutta as senior creative director (Art) under the leadership of Sambit Mohanty, creative head. This is his second stint at DDB Mudra. Dutta has an experience of over 15 years and has worked with Capital Advertising, Bates, McCann, Mudra and Contract. He has worked on portfolios as diverse as consumer durables, telecom, automobiles and hair-care to social advertising. Dutta has been actively involved in the creation and evolution of various brands like Nokia, Wrigley's, Philips, Volkswagen, ESPN Star Sports, Jaypee Group, LG, Electrolux, Domino's, Honda, Maruti, Dabur, Emami, NIIT, UNICEF, Videocon, Reebok and more. Commenting on his joining DDB Mudra North, Dutta says, "It feels great to be part of the DDB heritage where you get to work with such a young team, full of energy and enthusiasm. And I'm looking forward doing some fantastic work too." According to Mohanty, Dutta is a 'fantastic guy' in terms of talent and spirit. 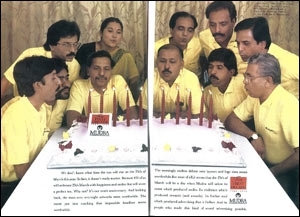 "With him in place," says Mohanty, "our senior creative leadership is complete." 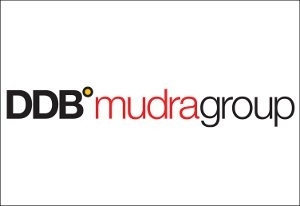 The DDB Mudra Group is a part of the Omnicom/DDB Worldwide Group and comprises 10 agencies offering diversified and specialist services under one roof. It operates out of 15 cities and is represented in more than 20 other locations with over 1,100 employees.